April from Lattes on Location was the barista for our in-store event. She was spunky, enthusiastic, and really made our Black Friday event rock! Not only was providing coffee bar beverages, she went above and beyond by greeting and engaging clients. She was the perfect addition to our event. "I call Lattes on Location when I need to impress clients with amazing coffee, delicious desserts and excellent service. Maria and her team always go above and beyond with creative menu options that consistently raise the level of quality for clients with high expectations. I strongly recommend Lattes on Location - you will love them!" Lattes on Location is the best and most reliable coffee catering service in Los Angeles. 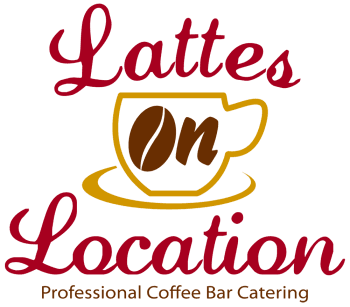 Lattes on Location is an incredible coffee catering service offering all your favorite lattes, tea, hot chocolate and whatever suits your palate. Their personalized service and professionalism can't be beat! I highly recommend them for any catering event you have. Best in class! I would like to take this opportunity to thank you, your company and staff for a superb contribution to my daughter's wedding. Once again your setup was beautiful and impressive. My family received many compliments and having your espresso bar and machine shining there was one of them. Please thank Joanne again for her service. "Smooch Jeans loves Lattes on Location. Your Coffee is unreal! The Coffee Cart brought all the traffic to our area during the trade show."